Many children have lost everything in Hurricane Florence last month. It breaks my heart to think about a child losing every toy and book they have. The pain that a parent feels when they look in their children’s eyes must be unbearable. My 3 year old grandson has many special toys, and he would not understand why they were missing. You can help by providing a new book, coloring book, and a box of crayons. I am preparing these bundles to send to North Carolina. If you would like to help me send these to children, here is a link to donate. 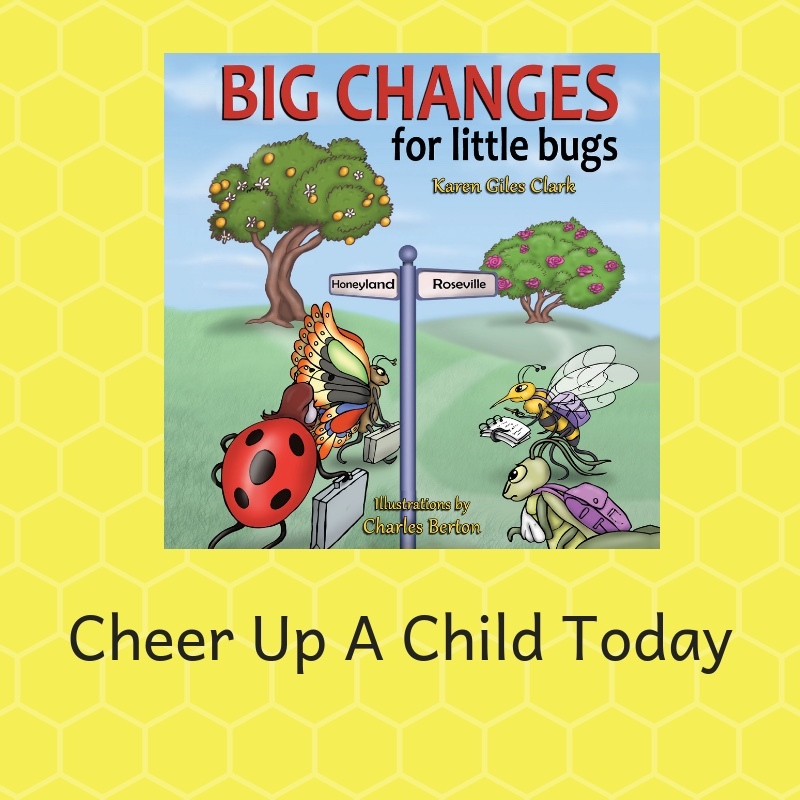 My book, Big Changes For Little Bugs, was written specifically for displaced families. It tells a story from four bug characters perspective that helps kids learn how to cope with disaster. My character Harvey Bee was named after Hurricane Harvey in 2017. I am partnering with Emergency Relief for Hurricane Florence Families, Horses and Pets to transport a Cheer Up A Child Bundle to those families affected by the storm. I know people want to help, so I created a fundraiser on my Facebook Page.